Want your teeth to be so clean and white they nearly blind anyone you dare to smile at? 1. 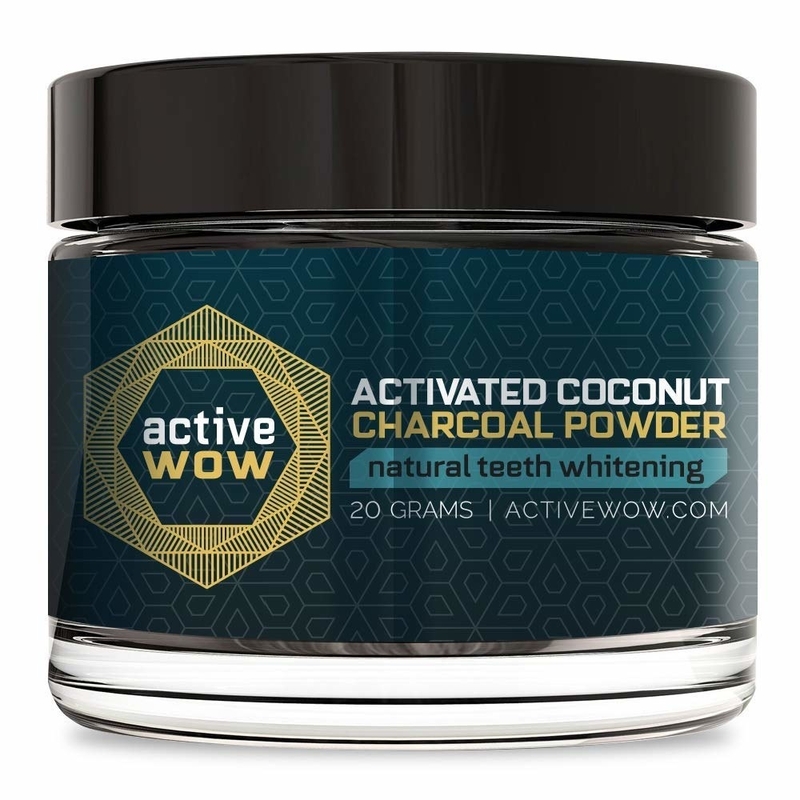 Active Wow Activated Charcoal Powder, so you can whiten your teeth while also channelling Javier Bardem in Pirates of the Caribbean. 2. Or charcoal toothpaste, in case you're not into that whole powder thing but still want a sparkling smile. 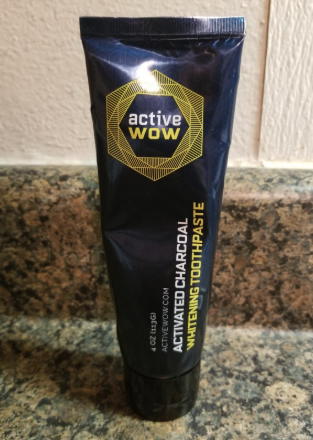 I used this toothpaste in conjunction with the powder (mainly on days I was too lazy to break out that charcoal-y mess) and also found it was a great way to whiten my smile and clean my teeth. The before-and-after review photos speak for themselves! Read our full review of it here. 3. 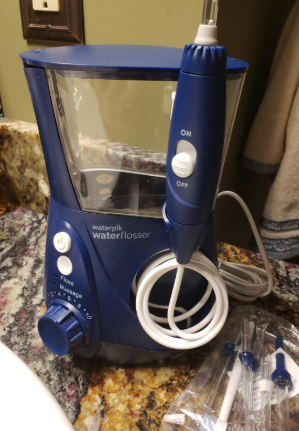 A highly rated water flosser that features 10 pressure settings and will leave your mouth feeling like you just stepped out of the dentist's office. Oral hygiene isn't just about your teeth — you gotta take care of your gums, too! The best way to do that is with this lovely WaterPik Water Flosser. Over 12,540 Amazon customers have taken the time to review it, with nearly 9K giving it a five-star rating. That's pretty incredible for something that shoots water around your teeth. 4. 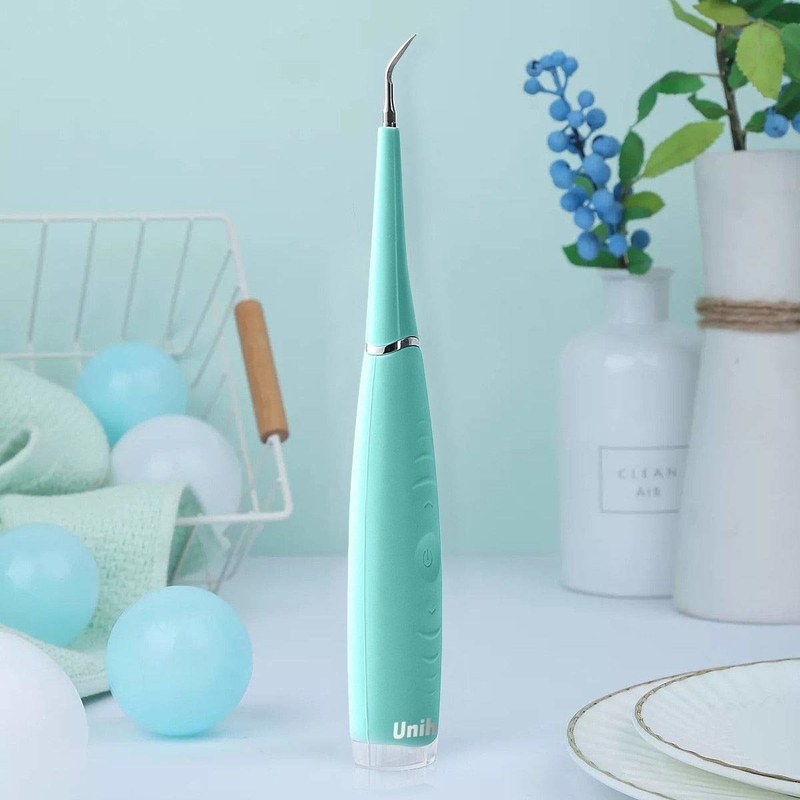 A rechargeable electric toothbrush, ideal for anyone who wants to make an easy but effective change to their daily dental routine. Get it from Amazon for $39.94. 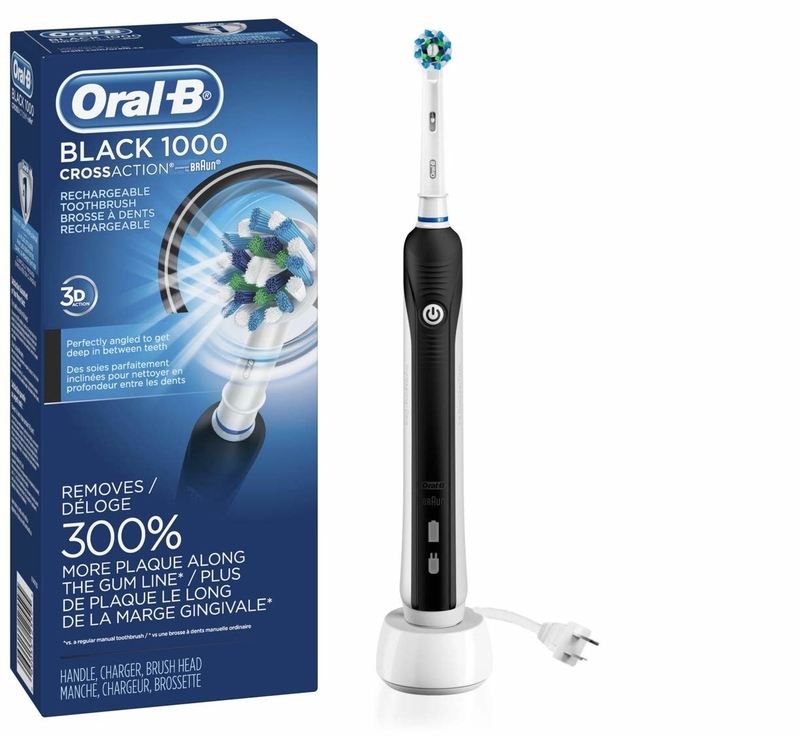 This is also our BuzzFeed Reviews pick for best mid-priced electric toothbrush! 5. 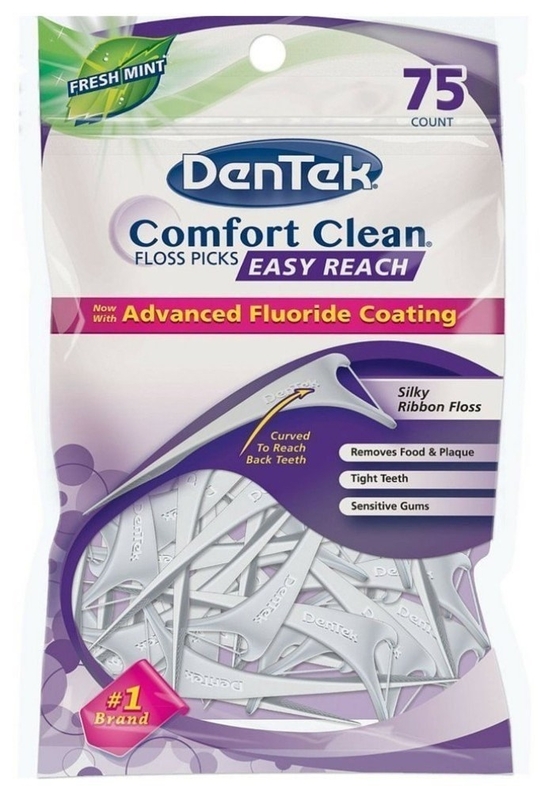 Floss picks that will have you saying sayonara to the old, stringy box of floss you've had under your bathroom counter since your last dentist visit. My husband and I asked for these from his parents for Christmas — that's how much we love them. We keep them in a lovely little mason jar in our bathroom, so they almost look...chic. Get 75 picks from Amazon for $10.77+ (available packs of 75). 6. 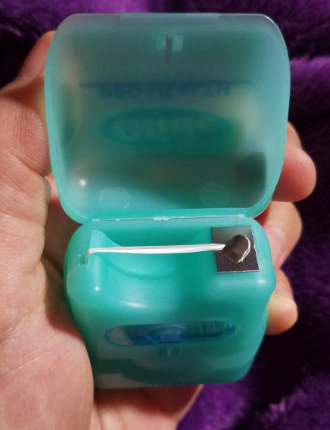 A classic pack of dental floss, because we all know old habits die hard (but at least this is a beneficial one!). 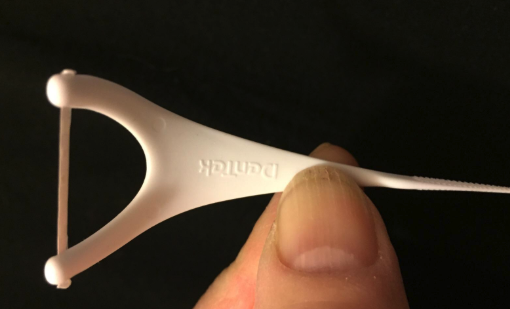 So you don't want to use a floss pick? That's totally fine — keep up the good dental work with regular ol' floss! 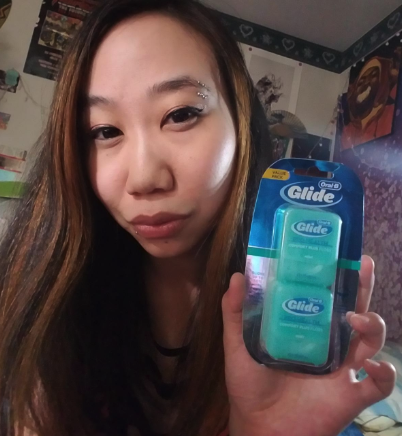 This one from Oral-B features a tasty mint flavor and is gentle on gums. Get a two-pack from Amazon for $5.29. 7. A vegan teeth-whitening pen that you can take with you wherever you go for a last-minute smile upgrade. Not only will this vegan product amp up your smile, but it also protects tooth enamel. It's perfect for refreshing your teeth after sipping on coffee or wine and only includes natural flavors. Fabuuuulous. This is also our BuzzFeed Reviews pick for best affordable teeth whitener! 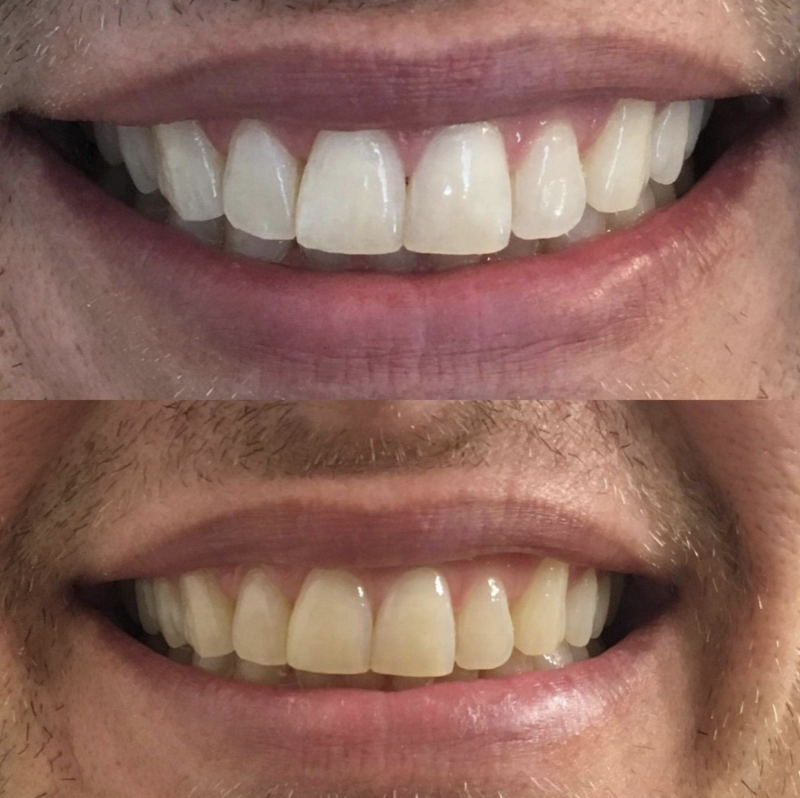 Promising review: "I have been using this for about a month now and can see a considerable difference in the whiteness of my teeth. It does not make my teeth sensitive like other whitening products have in the past. 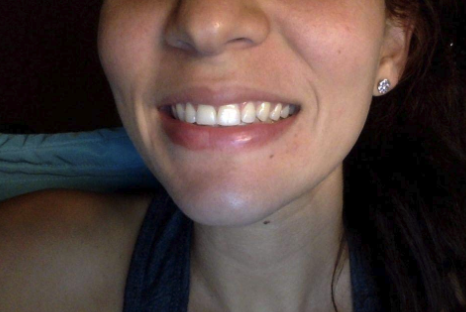 I would definitely recommend this to anyone looking for a hassle-free way to whiten teeth." —Rose B. Get it from Tarte for $22. 8. A teeth-whitening kit from HiSmile, so you can get a smile as white as all those influencers who rave about it on Instagram. 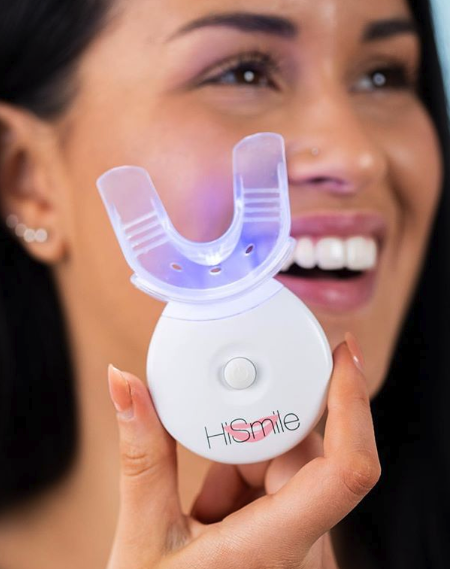 While HiSmile also makes awesome mouthwash and toothpaste, their (arguably) coolest product is their teeth whitening kit. It comes with a gel formula and an LED light that will have your chompers shining in under 10 minutes and kinda make you feel like you're living in the future. 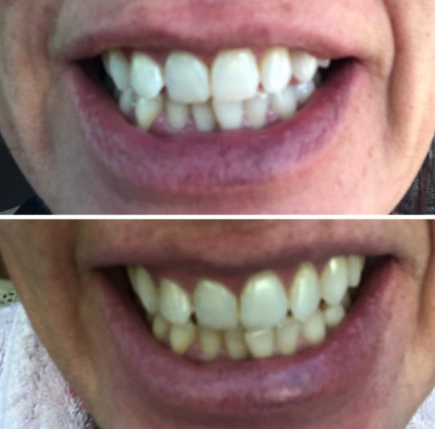 Promising review: "After trying White Strips, whitening toothpaste, whitening mouthwash and not having any success, I decided to try HiSmile. I am SO glad I did! After the six days, I truly could not believe the results. I have had so many compliments and feel so confident with my smile. And the huge bonus... it doesn’t hurt! I have very sensitive teeth and felt complete comfort while whitening with HiSmile!! Five stars!" —Anne B. Get it from HiSmile for $59.99. 9. 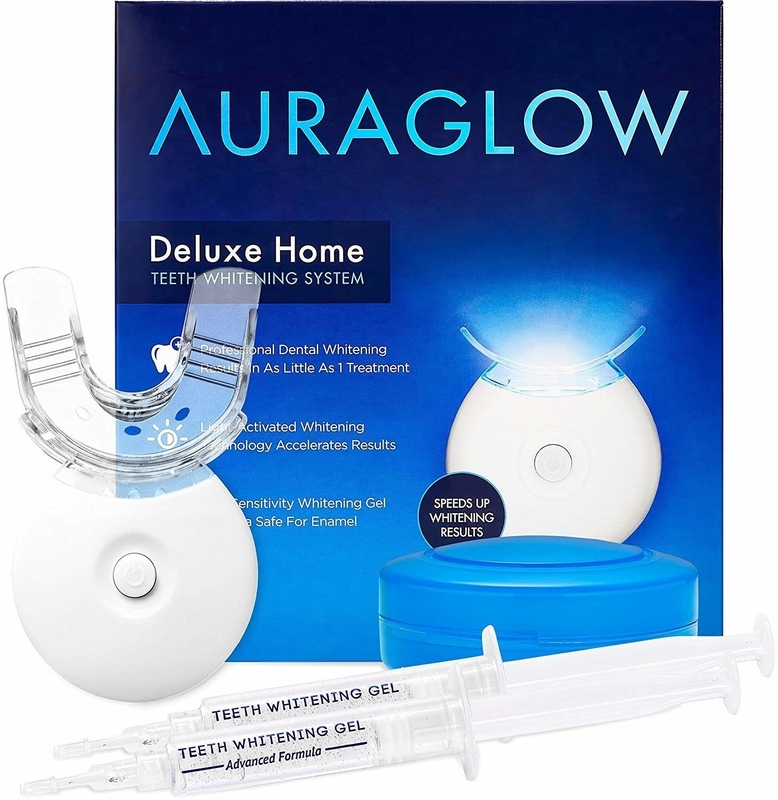 Or this similar whitening kit from AuraGlow that has received1.8K five-star reviews on Amazon! 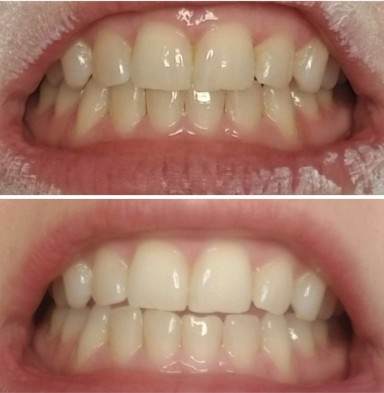 The before-and-after photos shared by Amazon customers using this teeth whitening system will BLOW.YOUR.MIND. Users are instructed to use the kit once a day for 30 minutes to remove stains caused by coffee, wine, tea, soda, smoking, etc. The whitening gel is also dental-grade and safe for enamel. Sign me up! 10. A dental gel, dispensed in a pump instead of a tube, to make you feel like you're living luxuriously each time you brush your teeth. TBH I think this gel probably made with magical fairy dust the way reviewers are talking about it! 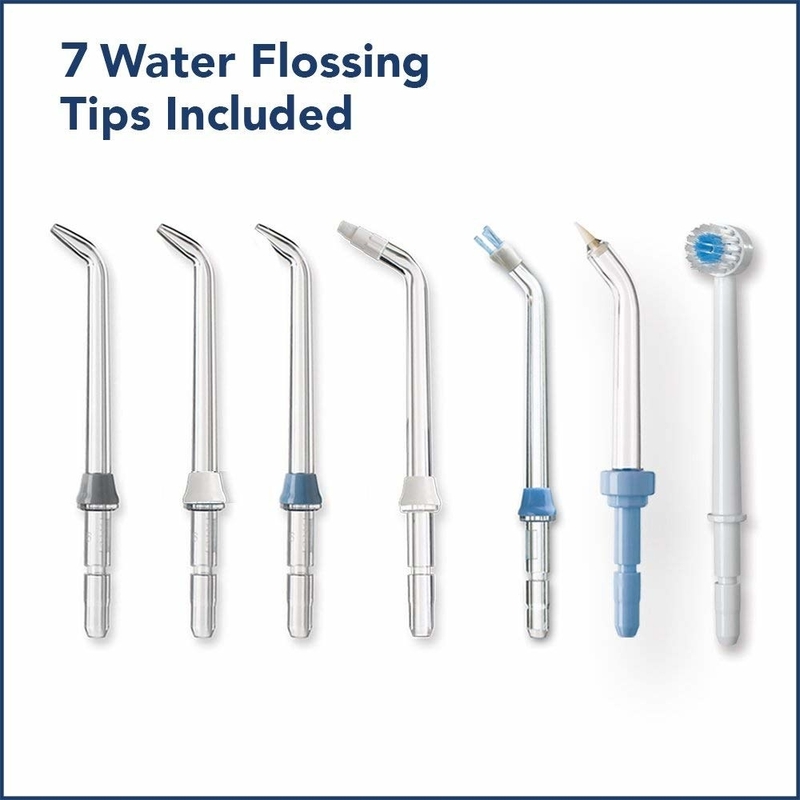 They attest to its ability to remove plaque and, thanks to the pump, it provides you with the perfect amount for brushing. 11. 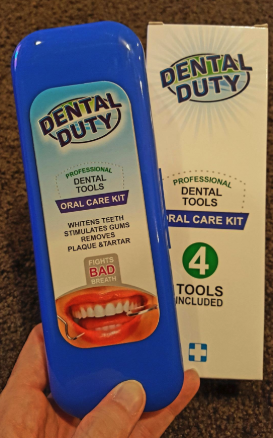 A set of dental tools that will help you can get down 'n' dirty cleaning your teeth from every angle. Dentists will often say brushing your teeth is not enough, so if you REALLY want a clean mouth you need to go the extra mile. 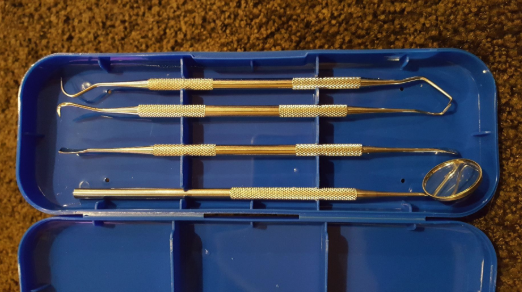 Made of surgical rust-free stainless steel, this set of dental tools will take your oral-hygiene game to the next level. 12. 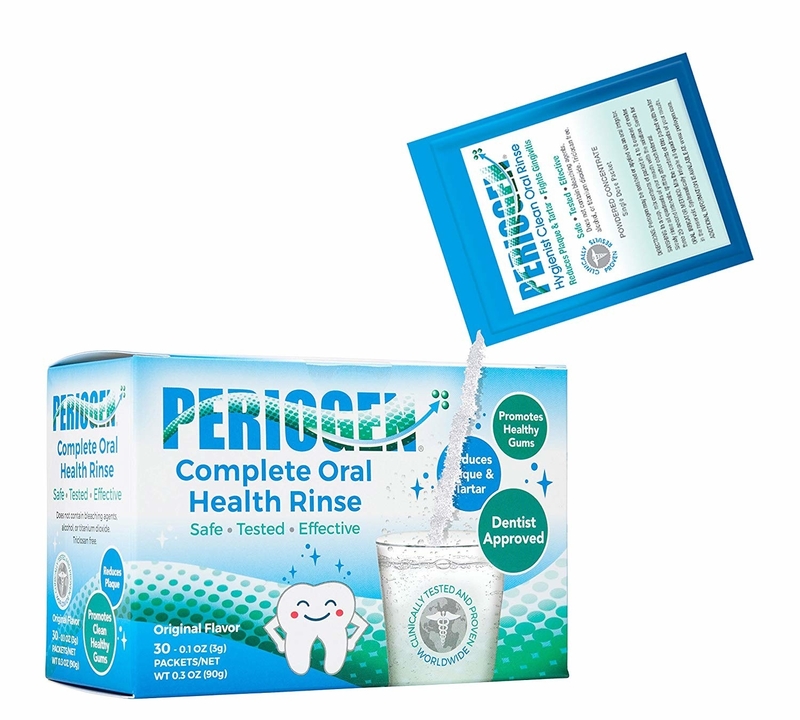 An oral rinse with a healthy 7.5 pH level (the same as tap water), so it's extra gentle on your gums and enamel. In the market for a new mouthwash? Check out this rinse from Periogen! It's formulated to be safe for your gums and prevent tartar build-up, and it can be used with dental work, fillings, and glues. 13. An electric calculus and tartar remover that'll have your mouth feeling ~fresh to death~ after each use. The stylish pink and turquoise colors this tool comes in are nearly enough to make me want to order it ASAP. The added bonus of using it to get cleaner teeth and fresher breath is pretty sweet, too. 14. A tongue cleaner with an 4.8-star rating on Amazon, so you'll never feel self-conscious the next time a doctor asks you to say "ahh." Get it from Amazon for $7.99+ (available in a single set or a set of two). 15. An oral rinse that is gluten-free and has just a mild mint taste, so it won't ruin mojitos for you forever. 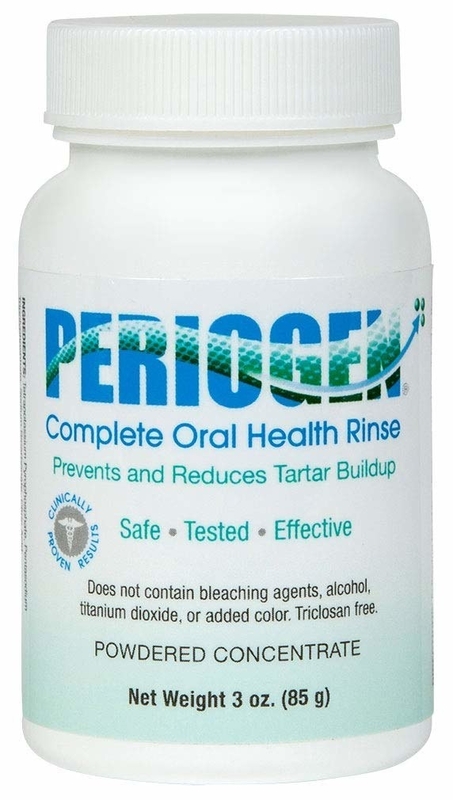 This simple oral rinse has over 2.5K five-star reviews from Amazon customers — that's a lot of people preaching this will improve bad breath. Get a two-pack from Amazon for $14.76. 16. A toothbrush designed with soft bristles and an easy grip to put less pressure on your precious pearly whites. 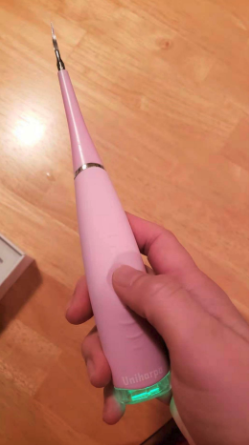 This toothbrush features designs for both left-handed and right-handed people, so EVERYONE can have a magical brushing experience. It has oversized bristles, which one reviewer described as "a carwash for your mouth." Get a three-pack from Amazon for $19.11. 17. 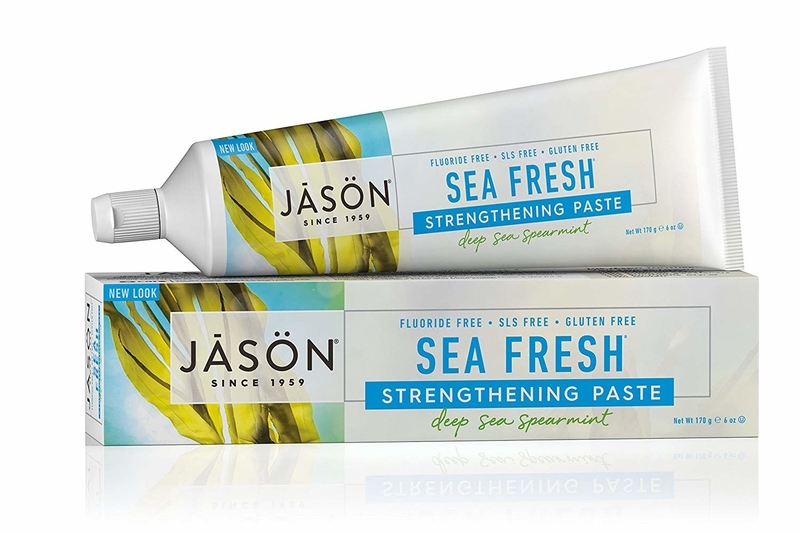 A fluoride-free, natural toothpaste with packaging that will transport you to the tropical destination of your dreams as you brush. Seriously, though, the leafy design on this toothpaste is so soothing it looks as if it were made to be in the bathroom of a beach house. It's formulated with botanicals including blue green algae, spearmint, and parsley. Get it from Amazon for $2.99 (available in four flavors). 18. 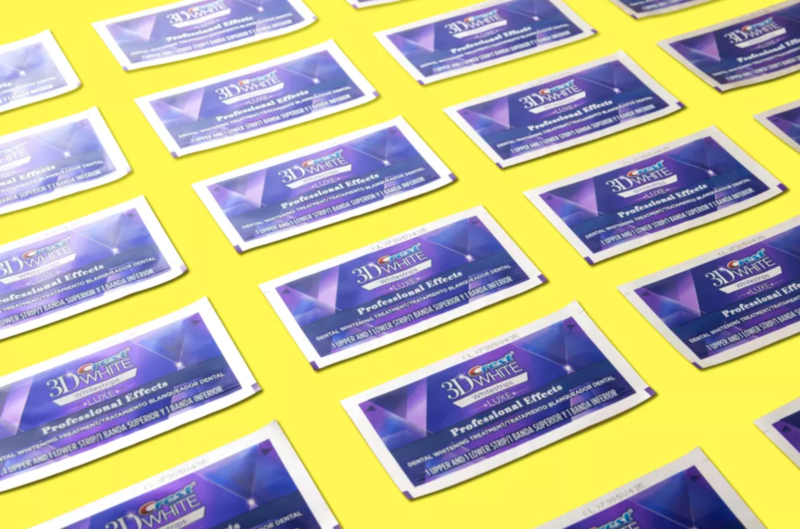 Crest 3D White Strips, perfect for anyone who has sensitive teeth but still wants a dazzling smile. My best friend swore by these and had all of her bridesmaids wear them in the hours before the ceremony. I must say, our dutiful smiles were stunning and sparkling. This is also our BuzzFeed Reviews pick for best mid-priced teeth whitener! 19. An electric toothbrush with a subscription-based brush head refill, so you'll never have to remember to buy another toothbrush or brush head again. Now THAT is something to smile about. Do you boast about being a minimalist? Or maybe you just have ZERO counter space? Then the Quip might just be the toothbrush of your dreams. (It's even our BuzzFeed Reviews pick for best affordable electric toothbrush.) It has a three-month battery life, comes with a wall mount and travel case, and is super quiet during use. 20. Gum that actually fights tooth decay, so you can get your chew on without feeling an ounce of guilt. This natural spearmint gum does way more than make your breath fresh; it also helps keep your teeth clean! It contains xylitol which doesn't allow bacteria to stick to teeth. Who says we can't have our cake and eat it, too? Get a 20-pack from Amazon for $15.84 (available in four flavors). 21. 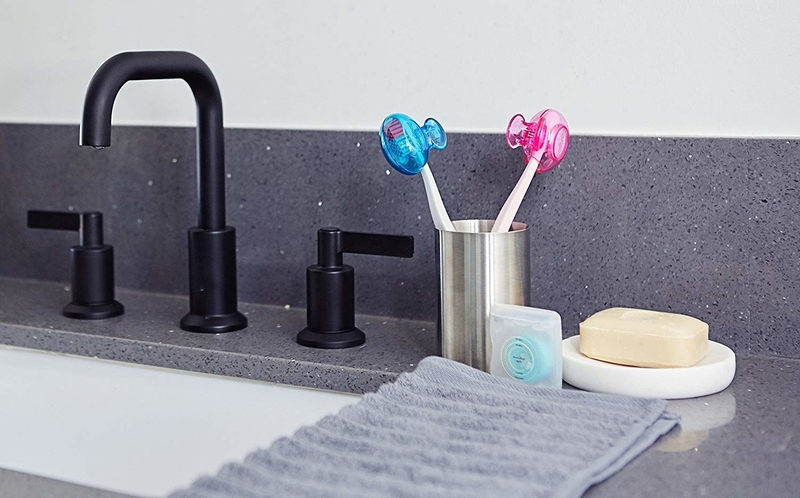 A Steripod toothbrush protector, because if you want to keep your mouth clean you obvs need to keep your toothbrush clean! Get a four pack from Amazon for $17.29. 22. A travel-sized oral rinse that will make sure you never get into an awkward I-just-had-tuna-for-lunch-and-you-can-tell situation. You don't want to be that person, do you? 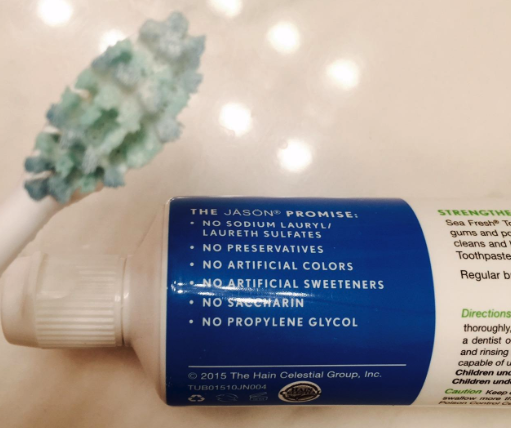 This oral rinse will freshen your breath on the go (thank youuuu, peppermint flavoring!) and combats odor to promote a happier, healthier smile. You'll be ready to take on the day no matter what you just ate — isn't that all we want out of life? 23. A portable UV toothbrush sanitizer, so you can say "ADIOS!" to lingering germs. 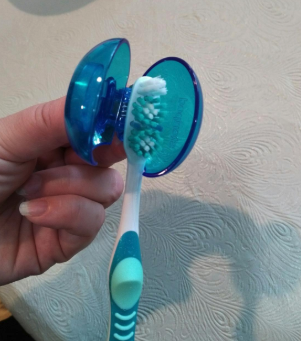 Whether you put this little guy in your handbag or leave it in your desk drawer at the office, you'll have access to a perfectly clean toothbrush at all times. This is what germaphobe dreams are made of, people. 24. And a subscription box that will deliver a variety of dentist-curated hygiene products right to your door! If you happen to be super passionate about having the best smile possible, then this Flossy Fix subscription box has your name on it! Subscribers fill out a survey so curators can put together a package filled with items that are specific to your dental needs. You can even order a box for your kiddo. Talk about fun-filled family bonding! Get Flossy Fix Kids from Cratejoy for $6.66 a month or Flossy Fix Adults for $13.33.